Delectably healthy to-go snacks – packed with Rodelle flavor. Three unique recipes to try! Strawberry: add 2 tablespoons Rodelle Gourmet Baking Cocoa, sifted. Blueberry: add 2 teaspoons Rodelle Almond Extract. Peach: add 1 teaspoon Rodelle Vanilla Extract, plus 1 Rodelle Vanilla Bean, split and scraped. Wash and pick over berries. Make sure they are all firm and ripe, not squishy. Peel and pit the peaches. Remove any bruises and cut into chunks. Puree the strawberries with the agave and Rodelle Cocoa. This step applies to any other fruit or berry mix. Use manufacturer recommendations on your dehydrator for drying pureed fruit. If trying the oven drying method, line a baking sheet with parchment. Spray a find mist of oil on the paper. Spread the fruit puree to about 1/4-inch thickness. Bake at the lowest heat setting (ideal 135, most oven's lowest setting is 140). Best to do this overnight as it can take up to 10 hours, but check progress at 6 hours. The fruit can be slightly sticky, but you don't want any gooey or "wet" areas. If you have a convection oven setting use it as the air circulation promotes the drying process. 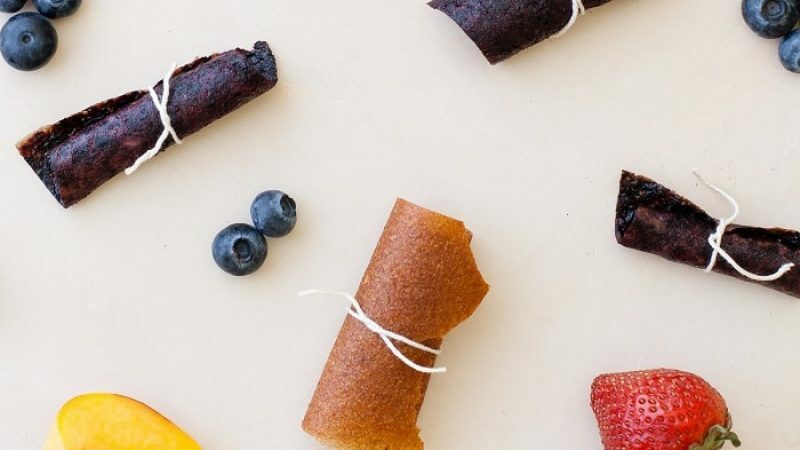 Remove the fruit leathers from the dehydrator sheets (usually available at Bed, Bath, and Beyond, or where dehydrators are sold locally), or parchment. Cut into desired size and roll into wax paper. Store in a container in your cupboard for up to one month. More Flavor and Fruit Options: Apples and Rodelle Cinnamon. Papaya and Rodelle Vanilla. Banana and Rodelle Cocoa. Mixed berries and Rodelle Vanilla.